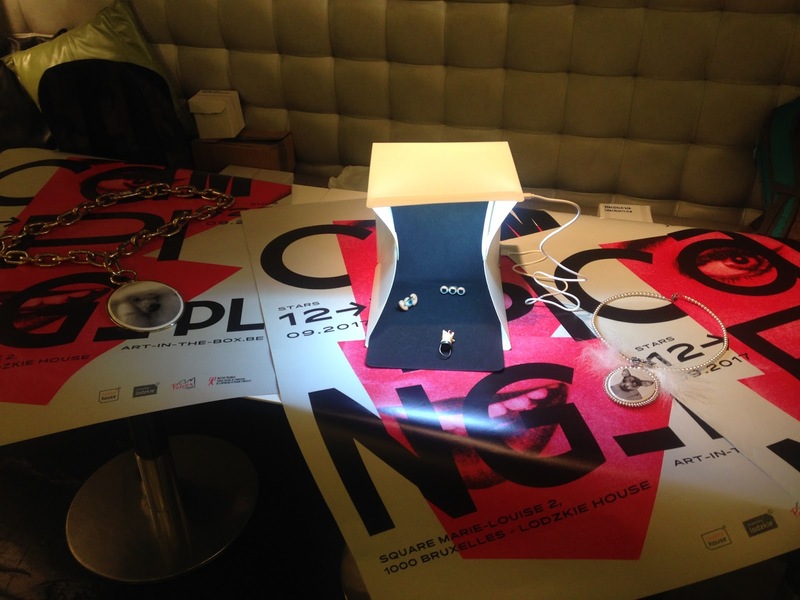 and Cocktail afterwork with all participants of the Arts & Crafts route.http://www.designseptember.be/ Hôtel Be Manos - You can see this crazy Jewelry first time in BELGIUM ! blink blink with before start! Do you want buy ? This year’s Art-in-the-Box exposition is its 3rd edition and it is titled Camping-PL. The exposition will be realized in the form of a tent emerging from a building facade. The walls of the tent will be made from translucent materials, which — along with the captivating lighting — will create an intriguing object that will leave nobody indifferent. The objects presented will be placed inside the tent, and while visible from the outside and inside of the building. This year’s Brussels Design September festival is focusing on jewellery. Camping-PL will present freaky Polish jewellery for campers! The works of the students of Art Academy of Łódź – the absolutely uncommon Polish jewellery – born from the desire to create jewellery from concrete, paper, or recycled objects. Items never presented before outside of Poland, unique and unbelievable. Jewellery for hipsters, campers, and others. Completely new approach with incredible results! Must be seen to be believed! The exposition will be held in Dom Łodzki — Polish Łódzki Region representation — probably the most modern and growing region in Poland! The exposition will be available for two week during the Brussels Design September 2017. Additionally, several events and happenings are planned aiming at direct presentation of the exposition objects and a closer interaction with the public.